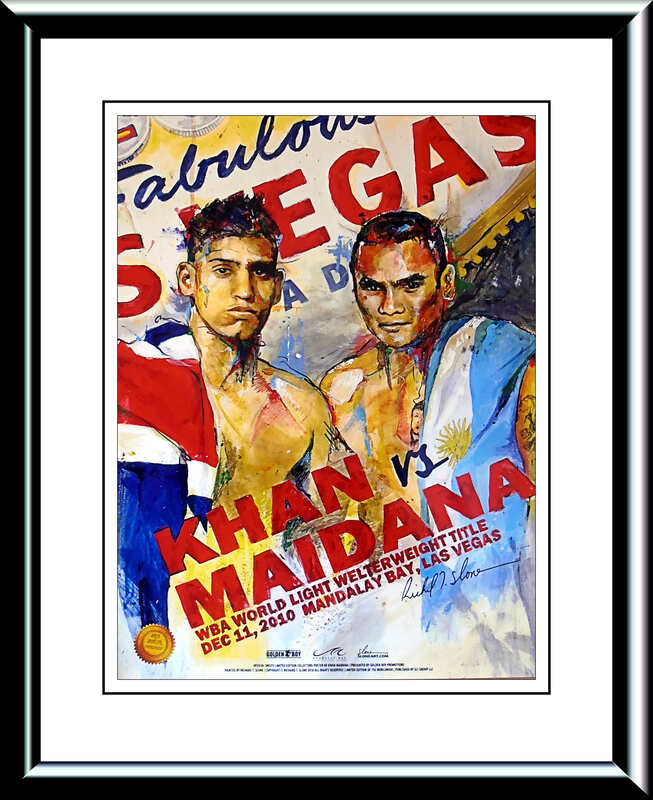 Description : Here we have the official Slone Art limited edition (750) onsite poster for that dramatic WBA Lt/Welterweight battle at the Mandalay Bay Las Vegas. 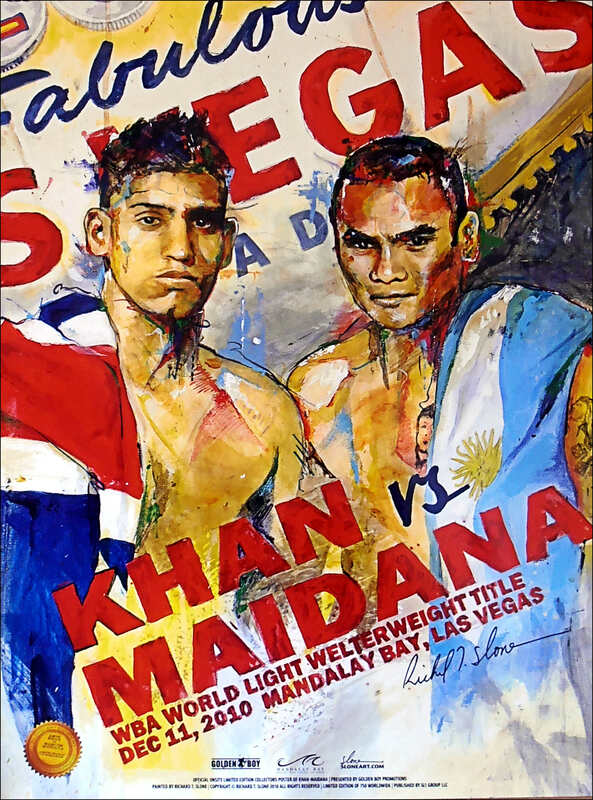 Amir Khan successfully defended his title for the third time against WBA interim champion and mandatory challenger, Marcos Maidana who held a record of 29 wins, 27 knockouts and only 1 loss. 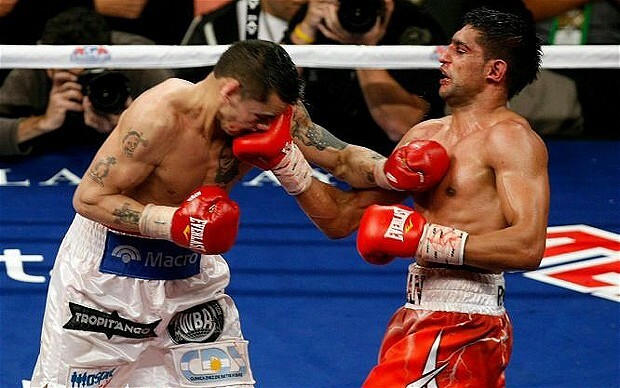 Amir Khan was accused by some of having a glass chin, but proved the nay sayers wrong when he was stunned mid-way through the 10th round by a heavy right hand from Maidana but survived, as he over came the heavy punishment and walked away with a unanimous decision........ The fight was awarded Fight of the Year by the Boxing Writers Association of America.